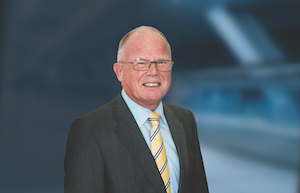 Long-serving industry personality, Roger Withers, has taken over as the new chairman of Live 5 Gaming, following the recent death of Roy Howell. Roger joined the board of the gaming development company at the start of the year. He will assist CEO Lloyd Butler to guide the company forward. Said Butler: “Roy was a fantastic mentor and chairman over the last few years for Live 5 and will be deeply missed. Roger will help us grow to the next level through his vast experience of both the industry and big business. It has been a seamless transition since he joined us and we are looking forward to working together, growing Live 5 and bringing Live 5 Premium to the market through 2019.” Withers, as ex-chairman of Playtech plc, ex-chairman of Sportech plc, recently retired director of Inspired Entertainment Inc, and current chairman of SafeCharge, brings a wealth of industry experience to Live 5, yet relishes the challenge ahead. He commented: “It is a pleasure and a privilege to take on Roy’s mantle and join such a young, creative and ambitious team, ably led by Lloyd Butler, as they develop ground breaking online content. I feel sure we can develop Live 5 Gaming to become the pre-eminent designer in its field.” Live 5 are planning an ambitious 2019 with a steady flow of Live 5 Premium content. The first of the premium content is an exclusive Premium Game Fortune Lucky, launched in Jan 2019 with Sky Vegas.